The new Destiny 2 expansion will be available to enjoy early next month from September 4th 2018 onwards and is available in a range of different collections. One of which is the Legendary Collection, providing gamers with a copy of Destiny 2, Expansion I: Curse of Osiris, Expansion II: Warmind and of course the new content of Destiny 2 Forsaken. Check out the trailer below to learn more about what you can expect from this collection which is now available to preorder. 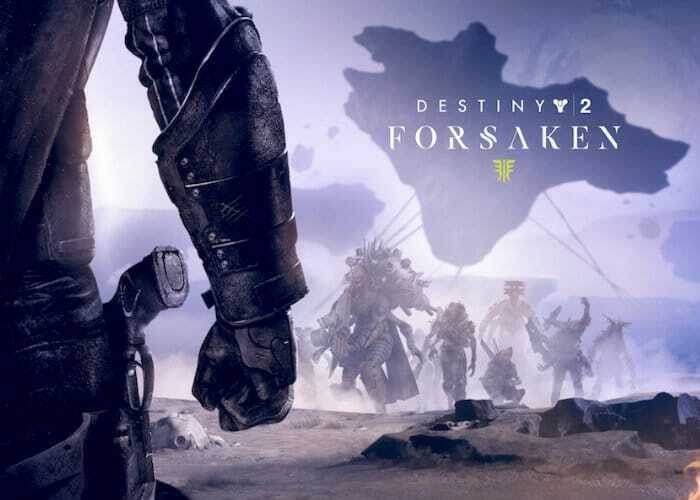 “Whether you’re jumping into the Destiny 2 universe for the first time, or one of the millions of players seeking revenge for Cayde-6, the Destiny 2: Forsaken – Legendary Collection offers the complete Destiny 2: Forsaken experience for new, returning and veteran players. For more information on the latest Destiny 2 Forsaken expansion which introduces an all-new story, new Legendary Bow weapon archetype, nine new Super abilities, new activities, quests, locations, Strikes, a Raid and a wealth of new weapons and gear, jump over to the official Destiny website via the link below.